BUCHAREST, Romania, 15-Nov-2018 — /EPR FINANCIAL NEWS/ — We would like to inform the market and our investors that, in connection with the decision issued by the Hungarian Competition Authority (Gazdasági Versenyhivatal – “GVH”) in May 2018 (the “Initial Decision”) approving the acquisition by our Hungarian subsidiary – DIGI Távközlési és Szolgáltató Kft. (“Digi HU”), as the purchaser, of shares representing in total 99.998395% of the share capital and voting rights of Invitel Távközlési Zrt. (“Invitel”) from Ilford Holding Kft. and InviTechnocom Kft., acting as sellers (the “Transaction” – the completion of which we have disclosed to the market on 30 May 2018), on 14 November 2018, the GVH issued several decisions whereby it formally withdrew the Initial Decision and it opened a new investigation (“New Procedure”) for reassessing limited aspects in connection with certain settlements where i-TV Digitális Távközlési Zrt. (“i-TV” – one of Digi HU’s subsidiaries in Hungary) and Invitel overlap. 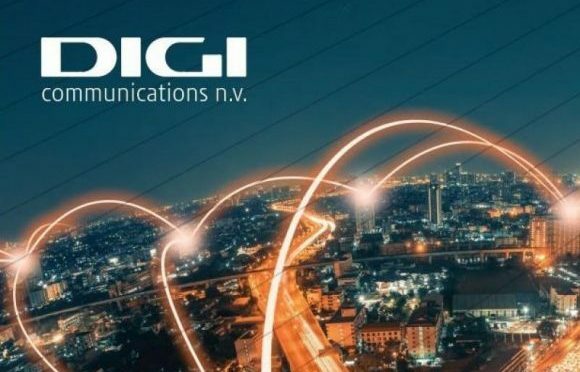 GVH’s stated reason for withdrawing the Initial Decision is based on allegations that Digi HU has failed to proactively comment during the initial assessment on certain data regarding the territorial scope of certain telecommunications services provided by i-TV, which has been used by the GVH in its Initial Decision. On that basis, the GVH also imposed a fine on Digi HU of approximately EUR 280,000 (HUF 90,000,000). Digi HU’s ownership and control over Invitel is not affected by the above-mentioned GVH’s decisions, as the GVH simultaneously decided on 14 November 2018 to allow Digi HU to continue to exercise control over Invitel (“Exemption Decision”) before the issuance by the GVH of a new decision on the Transaction. As a consequence, on the basis of the Exemption Decision, the implementation by Digi HU of the Transaction is not affected by the GVH’s New Procedure, except for certain limited behavioral restrictions from the Initial Decision that were reinstated. In relation to the operation of i-TV, the GVH imposed certain behavioral interim obligations on Digi HU until the completion of the New Procedure. i-TV represents a minor part of DIGI HU’s business in Hungary. We continue to strongly hold that Digi HU fully cooperated during the initial procedure by providing complete and accurate information, and that the GVH’s decision to withdraw the Initial Decision and to apply a fine is incorrect. Meanwhile, we will continue to fully and in good faith cooperate with the GVH during the New Procedure in order to ensure that a new decision re-approving the Transaction is finalized as soon as possible.